Very happy to get a honorable mention in this prestigious contest, my new project "Nature in our hands" recognized among more than 682 photographers from 67 countries have submitted 4,220 photographs for consideration of the jury Philip Brookman 'Consulting curator, National gallery of Art, Washington'. All category winners and honorable mentions, in both single and series, pro and non pro, will be invited to participate in the 12th Pollux Awards Collective Exhibition to be held in Barcelona next May 2019. Muy feliz de conseguir ser finalista en este prestiguioso concurso, mi proyecto "Hábitat" reconocido entre más de 682 photographers from 67 countries have submitted 4,220 photographs for consideration of the jury Philip Brookman 'Consulting curator, National gallery of Art, Washington'. Todos los ganadores y honorables menciones, serán invitados a participar en el 12 Pollux Awards Exposición Colectiva que tendrá lugar en Barcelona (Spain) el próximo mes de Mayo de 2019. Richard Le Manz. 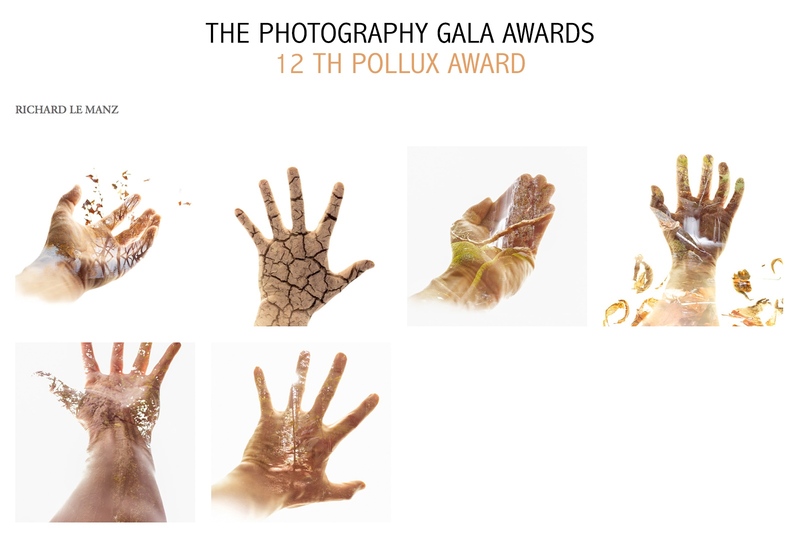 Artist / Photographer News & events 12TH POLLUX AWARDS. Honorable Mention.